Samford University’s Art Gallery is showcasing Birmingham area artist Sally Johnson in a new show Oct.1-29. Johnson is bringing together favorite pieces from her years as an artist. 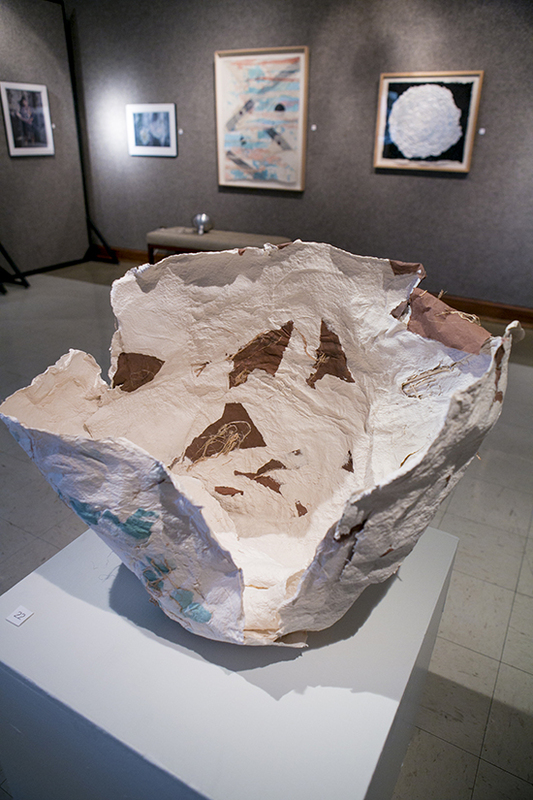 The exhibit, “Recycle: Time/Space,” is a collection of 22 pieces of art with old and new pieces that have been put together for the first time. The collection reflects Johnson’s accomplished ability in multiple mediums, from handmade Japanese paper to computer-generated line drawings, according to gallery director Robin Snyder. Johnson’s latest work, “Turtles and Fireflies,” combines the art of handmade paper with the technology of fiber optics. The materials were re-dyed and recycled from one of Johnson’s old projects and the fiber optics is an element she has wanted to use for 50 years. The piece, full of texture, will be showcased so that one is free to touch and enjoy it. “As you view works that have emerged in my studio in the last five decades you can discern that one of my fascinations includes thoughts of human vulnerability and a joyful response to the creation in which we live,” said Johnson. On Oct. 2 from 4 to 6 p.m. a reception will be held in the gallery where Johnson will participate in a brief artist’s talk to answer questions and share the inspiration behind her art. Regular gallery hours are Monday-Friday, 9 a.m.-4 p.m. The gallery is located on the first floor of Samford’s Swearingen Hall.